Mud Hole Custom Tackle, Inc. is the world’s largest supplier of tackle crafting goods – rod building, fly tying and lure building. A leading e-retailer and mail order supplier, Mud Hole has become the “go-to” and trusted supplier of hobbyists, small manufacturers and large OEM’s worldwide by offering superior shopping experience, rapid delivery and stellar customer service. 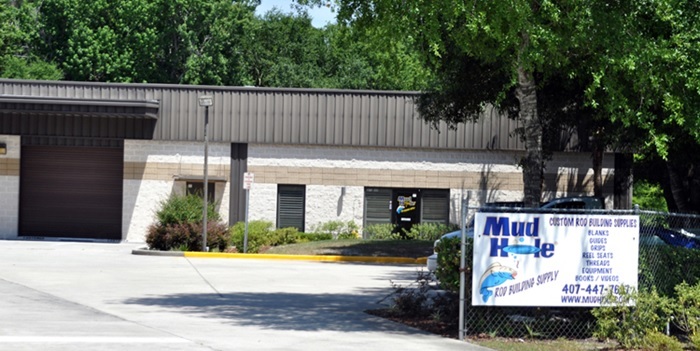 With more than 45,000 SKU’s representing $15 million of inventory fully stocked onsite in Mud Hole’s 15,000 square-foot office & distribution center, Mud Hole earns the loyalty of fishing enthusiasts and novice rod builders, fly tyers and lure builders alike. Our leading e-retail web site www.mudhole.com offers customers an exceptional shopping experience. We equip our customers with state of the art decision-making resources such as detailed specs, how-to’s, video tutorials, and high resolution photo galleries. At Mud Hole, we believe true service starts after the product you ordered arrives at your doorstep. We follow through on our commitment to excellence with detailed “how-to” videos, printed instructions and back it with exceptional customer service. Our team of service associates is available via phone, e-mail and message boards to ensure your utmost satisfaction. Whether you are a novice or a tackle crafting guru, you are sure to enjoy shopping at Mud Hole. We work passionately to exceed your expectations every time.